Want to live near the Square? 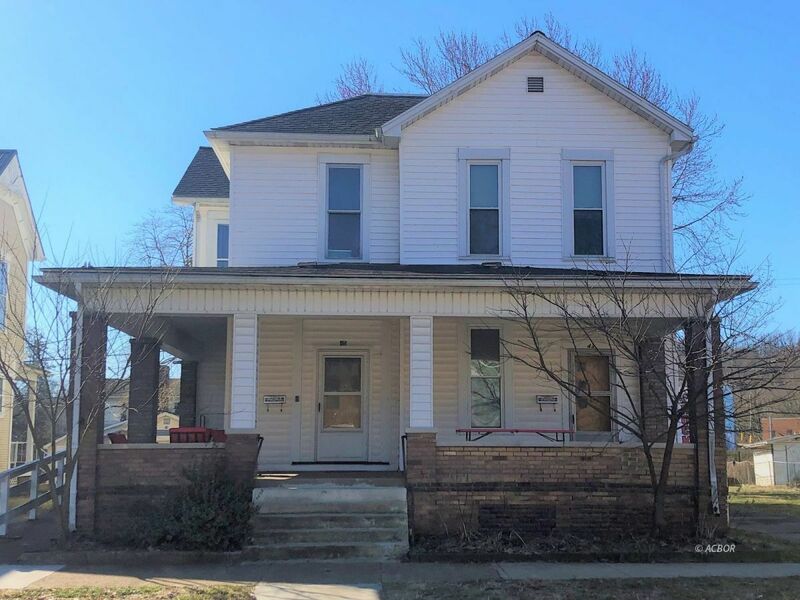 This stately duplex is located one block away from the historical Nelsonville Public Square. Very close to shopping, library, eateries, public transit and more. Live in one side and rent out the other side, or purchase as an investment property. Home has been beautifully maintained and many updates since the seller took ownership. Both apartments have front door access from the large covered porch. The "owner's side" apartment boast 3 bedrooms and 2 full baths. Walk in to a sun filled formal entryway or living room. French doors lead to the family room, dining room, and eat-in kitchen with gas range. A full bath and laundry area also located on the main floor as well as ample storage closets. Upstairs includes 2 good sized bedrooms, a full bath, and a master bedroom with wall to wall closets. Currently rented until May 2019. The other side of the duplex is a 2-bedroom, 1 bath apartment. A bright living room with decorative fireplace, dining room, kitchen, and laundry room make up the main floor. 2 bedrooms and a full bath complete the 2nd story. Craftsman style details such as original door knobs, built-in storage and leaded glass windows throughout entire home. Don't miss out!